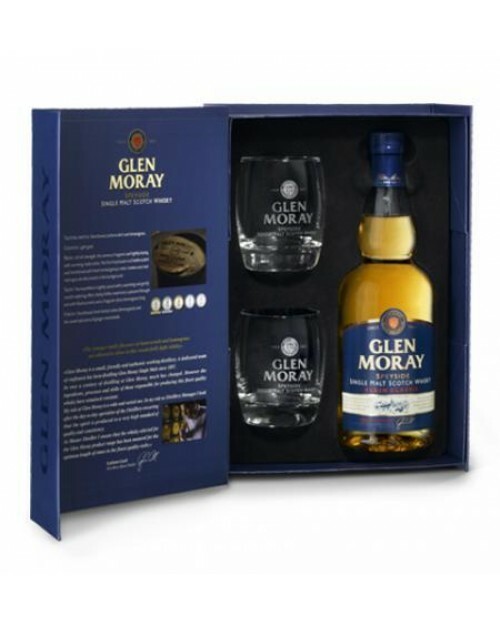 Glen Moray Classic Glass Gift Pack includes the entry level malt from Glen Moray. A no nonsense, fresh and nicely rounded single malt whisky together with two engraved whisky glasses. All very nicely packaged. Nose: Fragrant and lightly drying with warming malty notes. Palate: Gentle spice, malty toffee sweetness with a fragrant citrus lemongrass tang. Finish: Medium with fresh herbal notes.